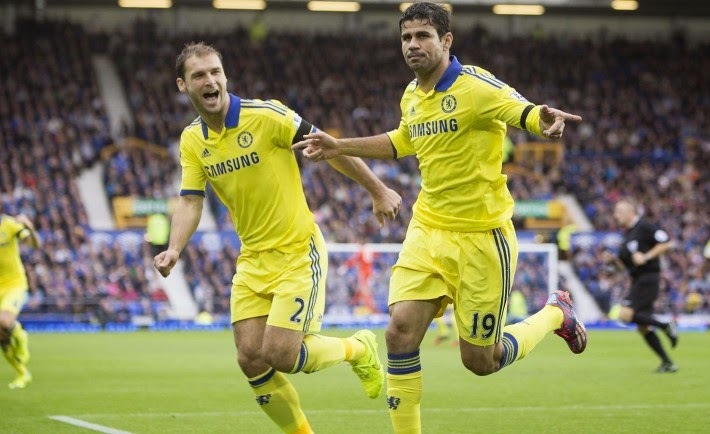 DIEGO COSTA: The clinical beast up front - What do you think of him? I posted after we announced the signing of Diego Costa that I had a real concern over his temperament ahead of him joining up with the squad. On record, I'd like to perform a complete U-Turn and say I love that in his game. Costa is being hammered by certain quarters of the media because of the other reason he made headlines at Goodison Park yesterday and that was the spat he was having during different moments of the game with Seamus Coleman and Tim Howard. What do these people expect? Do they expect him to come here and set his stall out or just roll over and lie down? “There are certain foreign players who come to the Premier League who need to understand the ethics and the culture. The behaviour in the British game is unique. The last thing you want to see is disrespect from a player to another player and I am sure he will learn that very quickly. The simple facts are that the Everton players were trying to dish it out yesterday and Costa wasn't prepared to take it. Not only that, but many strikers would lose their heads and find themselves distracted from the game, Costa remained focused and killed Everton off with his second of the game and Chelsea's sixth. I love the fact he plays on the edge, is strong enough to take it and has that fire about him. What do you people think of Costa so far? This guy isn't just "The Beast" he is a real handful up front and such a clinical finisher! What a fantastic start he has made to his Chelsea career!